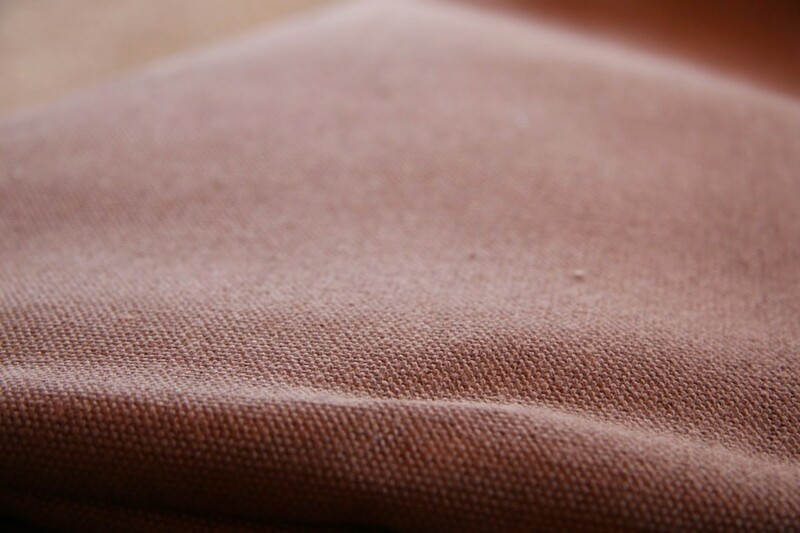 I wrote a post a few weeks ago about my new chocolate brown Hemp fabric from Organic Cotton Plus. 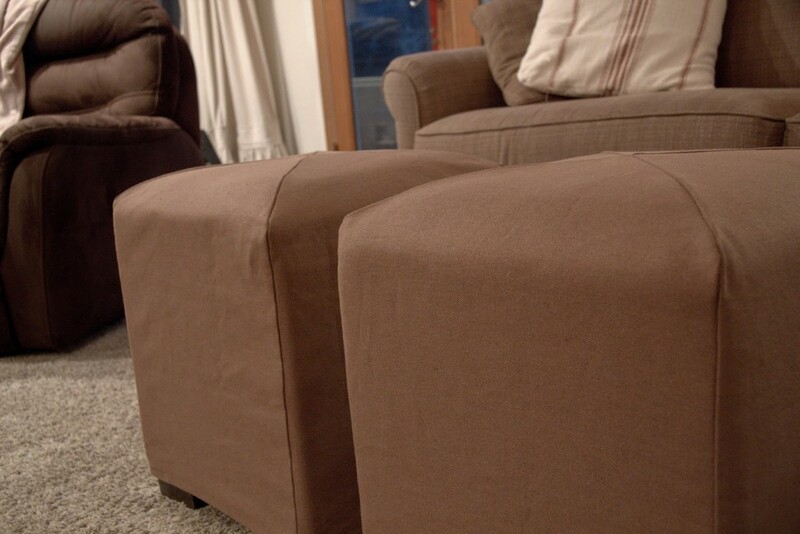 Last week I was able to make the slipcovers for my ottomans. (For the record, I had to Google what the plural form of ottoman is. Ottomans just doesn’t sound right, but neither does ottomen. So far, I’m loving the durability of the fabric. It is quite heavy, doesn’t wrinkle, and fits snuggly over the ottomans. The only slight downside I see, so far, is the color. I wish it was a tad darker. I would like it to be closer in color to the dark brown chair, in the background, but I’m loving the fabric itself. To make the slipcovers, I took apart my old slipcovers and used one of the side panels as a template. I used a heavy duty needle because my quilting needles aren’t quite thick enough for this fabric. Sewing with this fabric was similar to sewing with denim. Over the years, I’ve definitely become an online shopper. Organic Cotton Plus has a great selection of fabrics and I love that they are made in the USA. Last Thursday was a very happy mail day for me. Three yards of brown hemp fabric arrived in the mail. About a week prior, I was contacted by Organic Cotton Plus to do another fabric review for them. I have done a few reviews for Organic Cotton Plus, and I have been very pleased with their fabric, so I was thrilled when they contacted me again. I was invited to review their new Hemp line and the invitation came at a very good time. 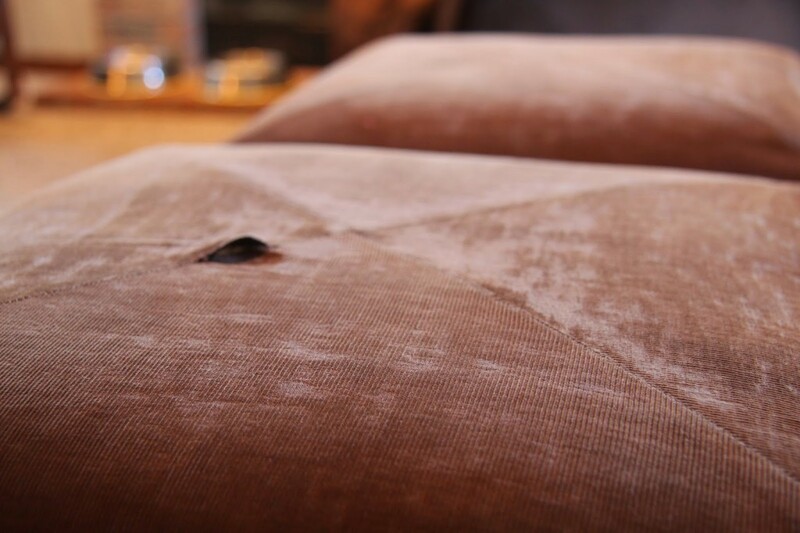 I searched through their website and several things caught my eye, but I was especially excited about the brown hemp that I found, that resembled the brown fabric covers on my ottomans. 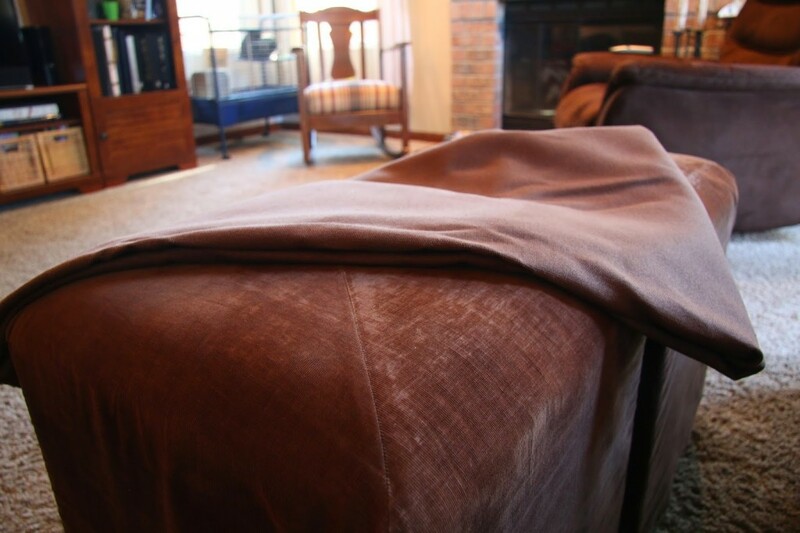 I loved my chocolate brown corduroy, when I first made the covers. Sadly, after about two years, they have seen better days. The corduroy is looking very worn and starting to come apart at the seams. I expected that it wouldn’t last too long. This is, obviously, a place for our feet to rest and is used quite a bit. Online fabric shopping seems like it would be a little challenging, but I have been pleasantly surprised. 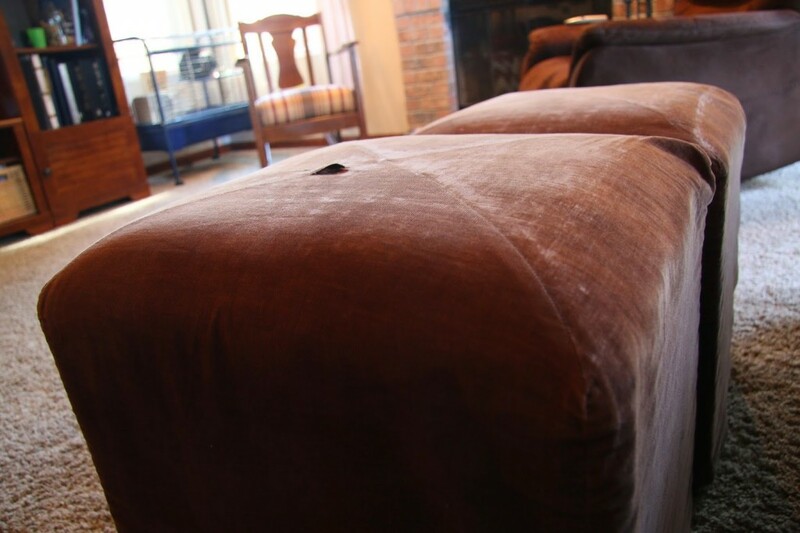 The picture, below, shows my new fabric sitting on my old ottoman. Not a bad match! I was looking for something durable and about the same color. It’s hard, when you can’t feel and touch the fabric, but I decided to just go for it. The hemp that I requested was VERY thick and heavy. I’m so excited because I think it will be long lasting and look perfect in this space. Honestly, it’s exactly what I would have picked if I went shopping at the store, rather than online. The hemp fabric that I picked is a woven fabric, that reminds me of a heavy duck cloth canvas. Isn’t it pretty? I can’t wait to get started sewing! I will be sure to share my pictures of the finished product when I’m done. 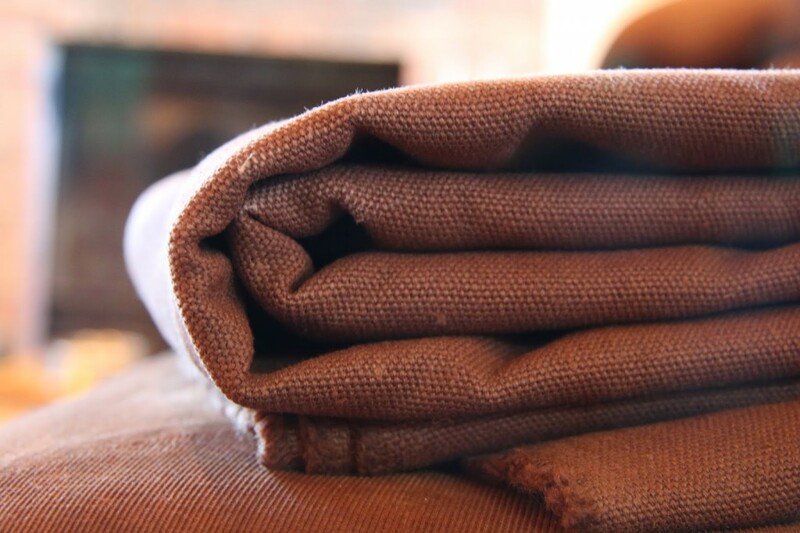 Organic Cotton Plus provided me with 3 yards of brown Hemp fabric in exchange for my review of the product. The opinions stated here are my own. Side note: I’m always a bit hesitant to accept the invitation of companies to review their products. I don’t ever want this blog to feel like I’m always trying to “sell” something. Currently, the only two companies I have reviewed for are LeapFrog and Organic Cotton Plus Fabrics. I believe in these companies and will happily promote the good work they do! I do receive offers almost daily, in my inbox, but I rarely think a company would be a good fit for me. 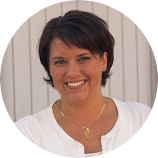 A few of the reasons I chose to review products for this company are: I love to sew, the idea of working with organic fabric appeals to me, and the fabric is made in the USA. That being said, you probably won’t find a whole slew of new product reviews on here, unless Williams Sonoma calls. I will happily review their products any day.